H.Roberts Photography has a large array of products available for all clients. Here is a detailed array of products compiled specifically for your wedding photography needs. 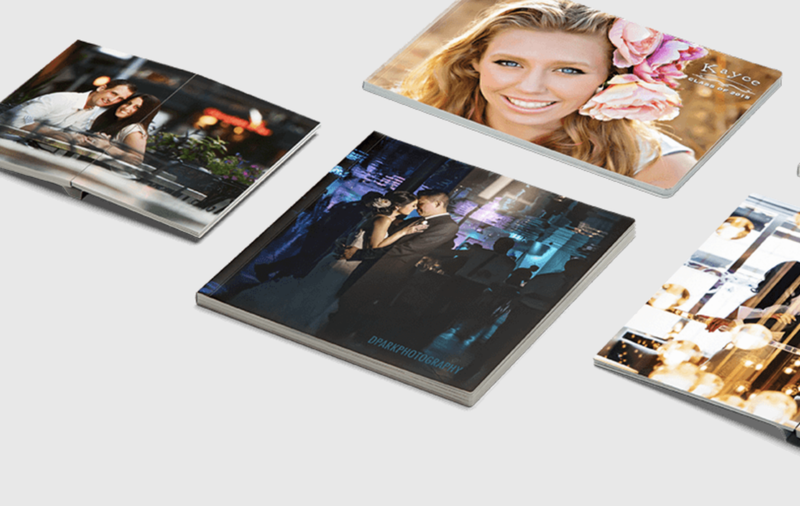 Fully customized, these albums are designed and created by your photographer and sent directly to your home for you. A slightly lightly lighter cousin to the Pacific Album, these albums are a great companion for any engagement session, wedding, and as gifts for precious family members of the bride and groom. The lightest of the three, these albums are still well put together. These albums pages are rigid with a substrate between the prints. These pages lay flat and are beautifully crafted. Also good as a companion album, these light weight albums are well put together for any purpose.